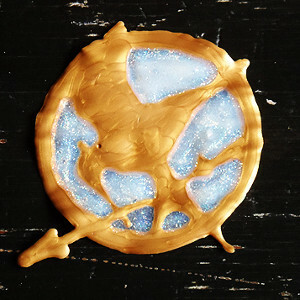 Show your loyalty to The Hunger Games series by decorating your room, notebooks, or windows with the Glistening Mockingjay Emblem. 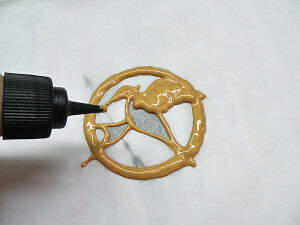 Put this craft on your belongings to show where your heart lies and as a sign for other Hunger Games fanatics. Though this project looks like it would be difficult, it's easy as can be, and that means that you can brand tons of your possessions with the honorable emblem. 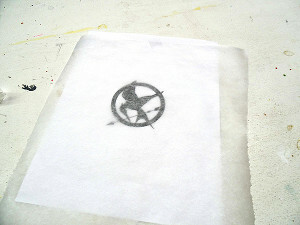 Good luck creating The Hunger Games crafts, and may the odds be ever in your favor. Print the pattern and resize to your liking. Place parchment paper over the pattern and staple or tape to hold it together. Use the gold writer paint to trace the mockingly pattern. Fill in with gold making sure there are no gaps or holes. 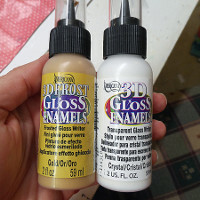 Let the gold paint dry for about an hour. It will not be completely dry but will have a chance to set up a little. Use the crystal writer paint to fill in the spaces that are empty. 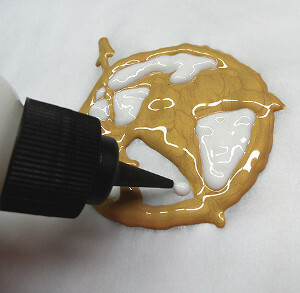 Carefully peel the emblem off of the parchment paper. Use to embellish a scrapbook project, glue it to your notebook, or add a glue dot to the back to stick it on your door or wall.